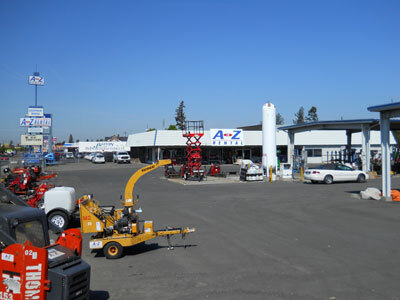 A to Z Rentals and Sales is the Inland Northwest's largest locally owned rental company, with six convenient locations servicing customers in Eastern Washington and North Idaho. At A to Z Rentals our customers include Commercial, Residential, Government and Specialized sectors along with the Homeowner "Do-it-yourself individual". A to Z Rentals also specializes in a large inventory of Party Equipment and Supplies. Our experienced and friendly staff strives to make your rental experience pain free, inexpensive and easy. We are in business to help you, our customer, get your work done. Please feel free to contact any one of our six locations. At A to Z Rentals, no job is too big and no job is too small. At A to Z Rentals we rent everything.